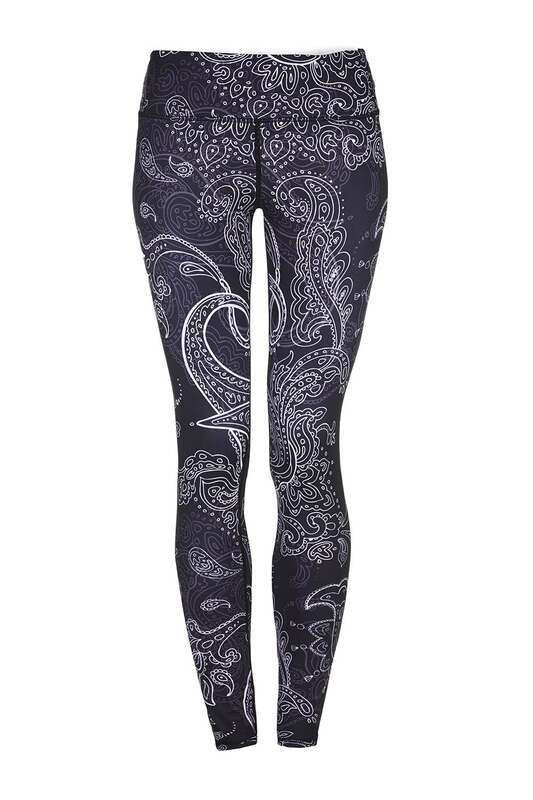 Yogaleggs Paisley Passion are functional and fashionable paisley print leggings. Made of high quality, breathable, moisture-wicking, antibacterial fabric with compression components designed to keep you cool and dry throughout your workout and take you from day to night. Fantastic leggings. Generously sized, in the past I preferred my leggings with a drawstring, but these don’t need it. So comfortable, stood up well to a hard PT session and definitely squat proof!